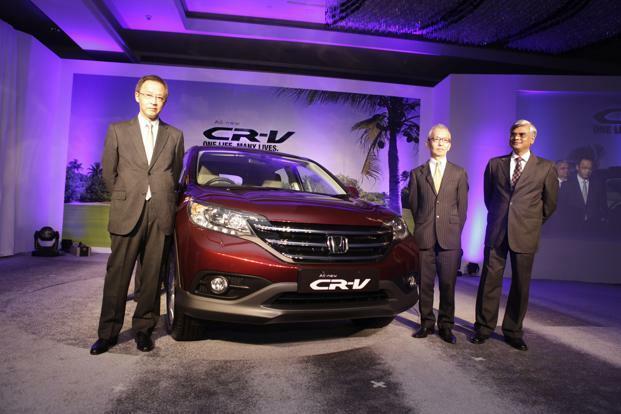 Honda Cars India Limited has just launched the 2013 Crossover in India priced at Rs 19.95 Lac in India. The CR-V crossover will be available only with petrol engine options in India, with the 2 Liter i-VTEC engine serving as the entry level variant while the more powerful 2.4 Liter(190 PS-226 Nm) i-VTEC engine will be available with the top end versions of the CR-V. 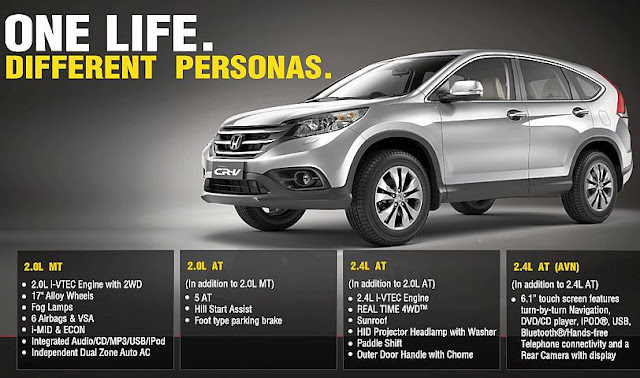 The C-V gets a 6 speed manual transmission as standard on the base variant powered by the 2 Liter(156 PS-190 Nm) i-VTEC petrol engine. All other variants of the crossover get a 5 speed automatic gearbox as standard. Feature wise, there is an integrated 6-speakers Audio with CD, USB and iPod connectivity, while the top-end variant comes with a 6.1-inch touchscreen System which is compatible with video and satellite navigation. There is also an Electric Sun Roof, Cruise Control, Driver Seat Adjustment, Steering Adjustment and Dual-Zone AC. Safety features include Rear View Camera, ABS with EBD, Hill Start Assist, Parking Brake, which comes as standard and six dual-SRS airbags. A total of five exterior colours options are being offered - Carnelian Red Pearl, Sparking Brown Metallic, Urban Titanium Metallic, Taffeta White and Alabaster Silver Metallic.